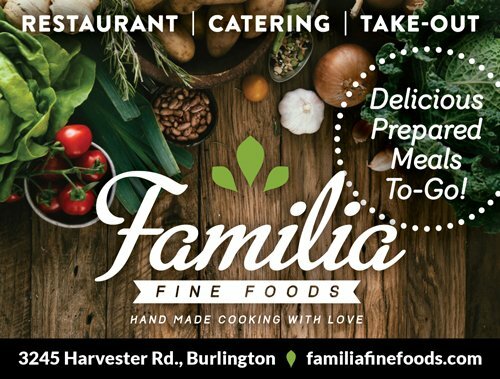 South of Lakeshore Road, tucked away down on Dunn Street is a place that offers warm, friendly service, fresh food and an intimate, homey atmosphere as any proper kitchen should. 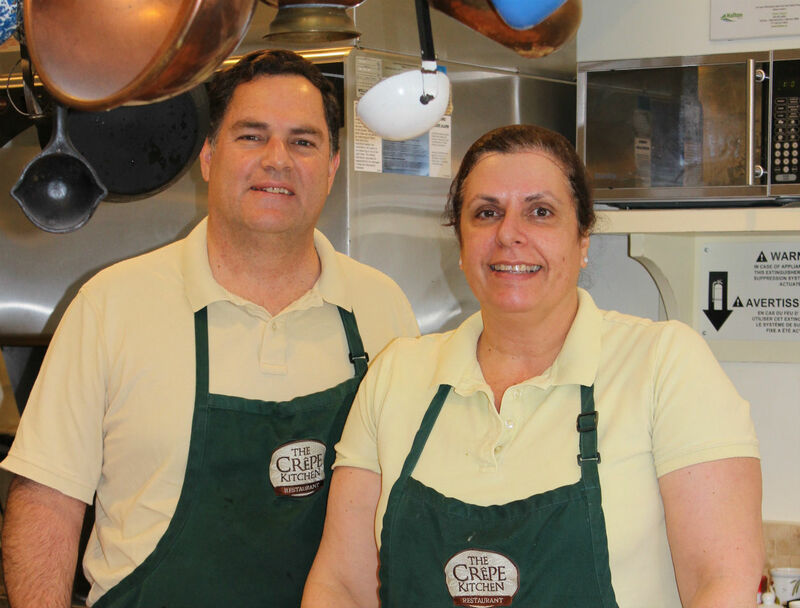 The Crepe Kitchen owners, Eduardo and Ana Siles. 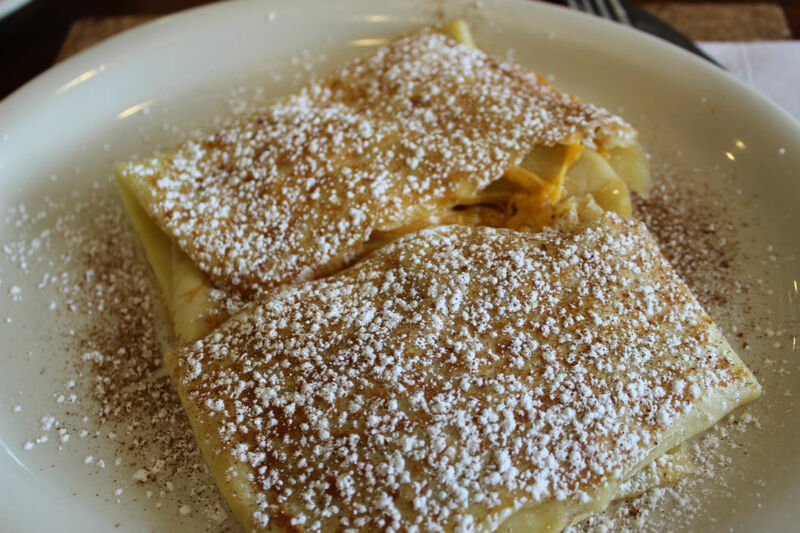 When you walk into The Crepe Kitchen, you’ll notice a large, text-filled chalkboard on the wall with an extensive menu. Ana and her staff of expert crepe makers are situated at the storefront’s bay window, which gives them a view of what’s happening outside and of the customers congregating to satisfy their crepe cravings. Good Morning: 2 eggs, bacon, maple syrup, cheddar cheese and a side salad. You can be conservative and just dip each mouthful into the maple syrup, or pour it all over the crepe. 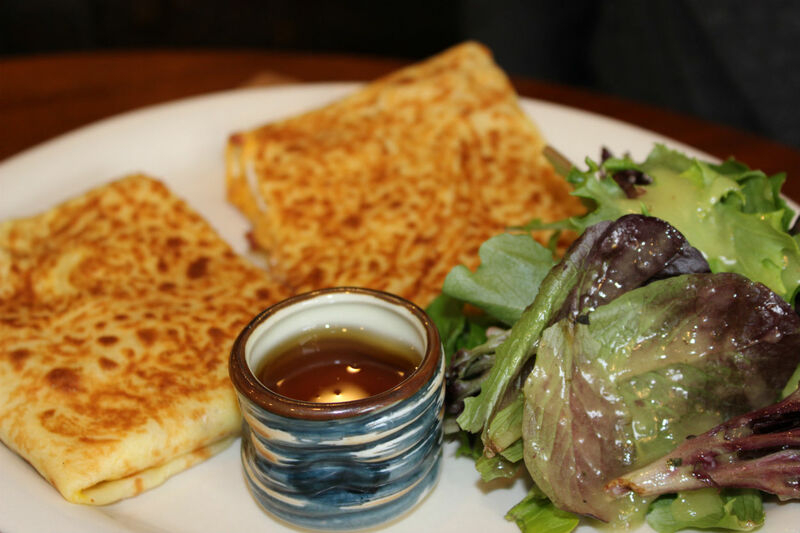 Everything’s made fresh on the spot: sweet and savory crepes, a small selection of sandwiches and French onion soup. Caprese: mozzarella cheese, tomato, basil, mornay sauce & side salad. 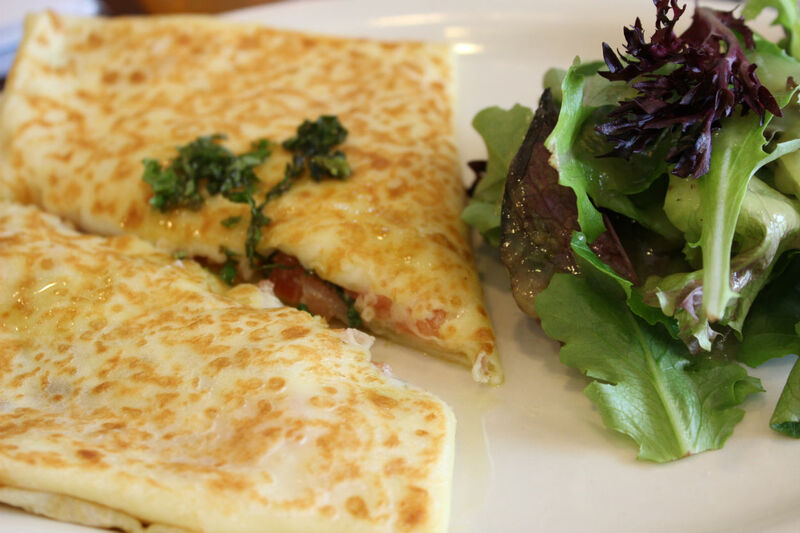 It’s a perfect savoury crepe for lunchtime: just as delicious as a pizza (probably more so) and way less filling. I definitely wanted to try both a savory and sweet crepe, so thankfully I had room for the Pierre, which we enjoyed with a cup of hand-pressed organic Peruvian coffee. Pierre: apples, cinnamon, cheddar cheese. Just like eating a slice of apple pie (complete with cheese, if you enjoy yours that way) and a sweet way to finish lunch. 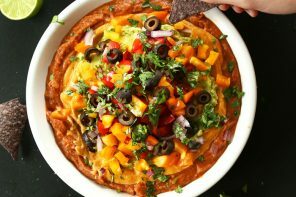 The Siles moved to Oakville from Peru six years ago, where Ana says they would often make crepes for friends and family around a big table. They look hard to make – to me at least and I asked Ana if this is true. 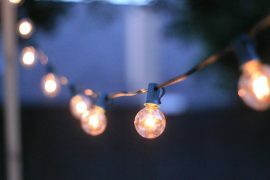 She said, jokingly that although Eduardo knows how to make them very well, he doesn’t want to “practice” because he enjoys chatting with the customers. 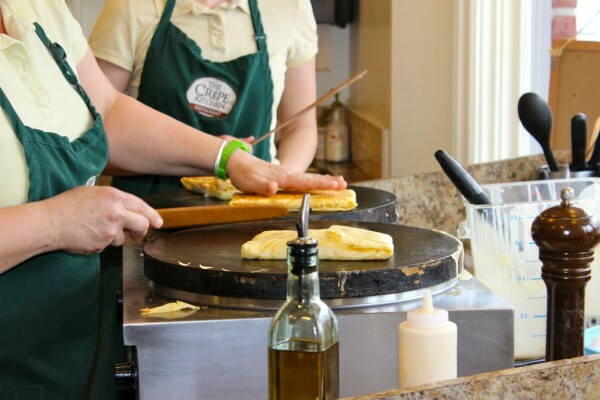 The Crepe Kitchen is part of Taste of Oakville (lunch only) which runs from February 19 – March 4, 2014. View the prix fixe menu here.